Cheez-Its were patented on my birthday so I have always had a special fondness for them. 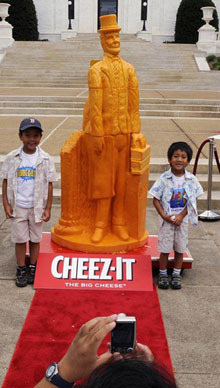 I am frankly — fairly surprised at the dearth of photos Abraham Lincoln likenesses made in food on the internet. This is something that should change. ← Well. This is awesome.